The famous line of Toni Gonzaga-Soriano in Pinoy Big Brother “Hello Philippines and Hello World” is back at its 6th season and this year’s season is PBB737 composing of 11 teen housemates who will be staying and defeating inside kuya’s house for seven weeks and that is the first meaning of 737. 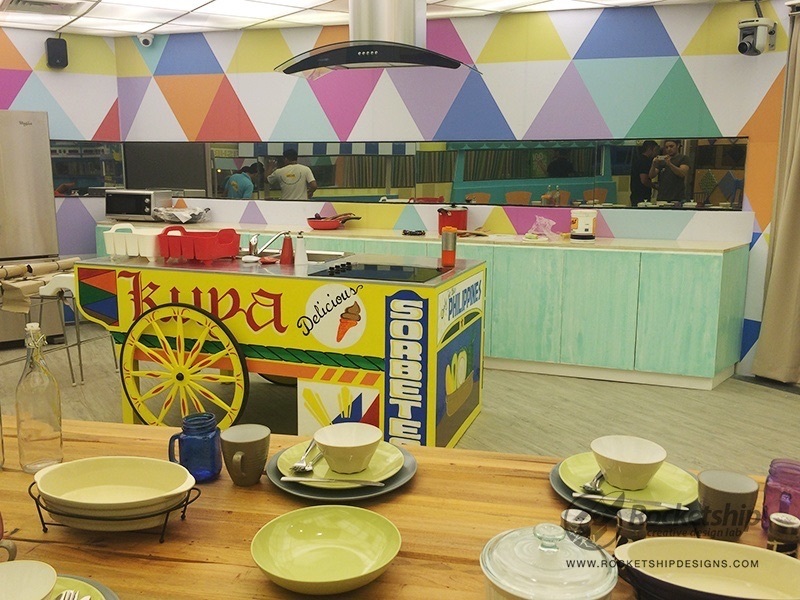 Aside from the housemates that we’re excited to watch and know them deeper and better is of course the whole design and theme of the house. 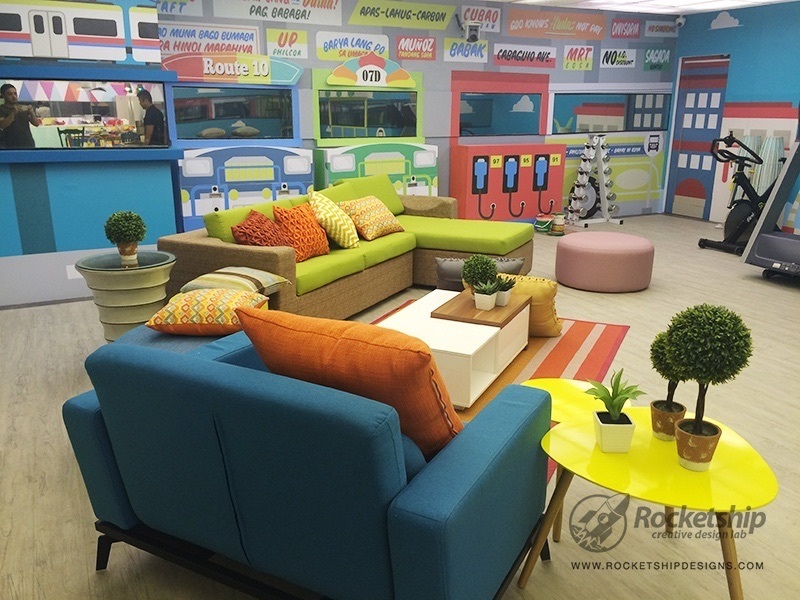 Every season kuya always make sure that there’s a blast most especially with the interiors and I think this season will be the best as it really suits the idea to the housemates and to the show’s target market which is 90% teenagers. 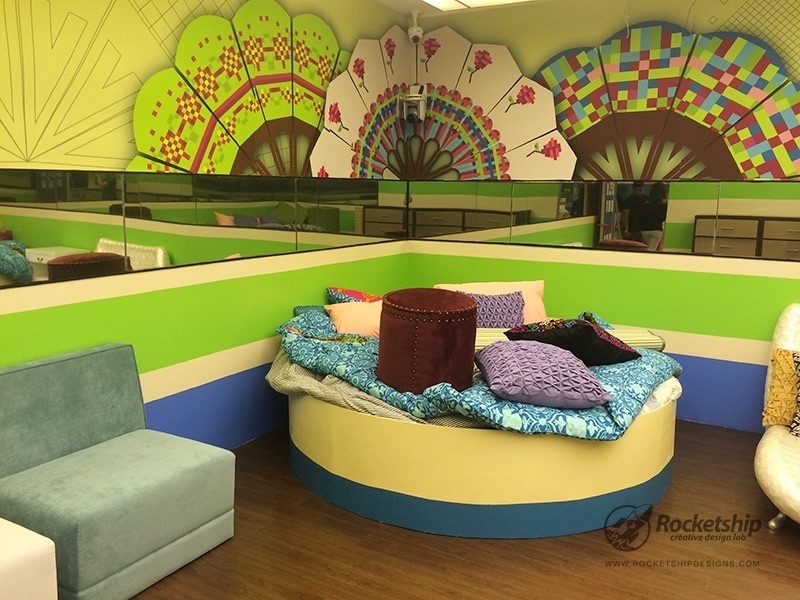 The house’s design has a touch of classic Filipino pop culture which features the illustrations from Rocketship Creative Design Lab and in collaboration with J-designs for the interior design of the the PBB737 house and the wall stickers from Imagemax which is very true blooded Pinoy inspired at any glance. 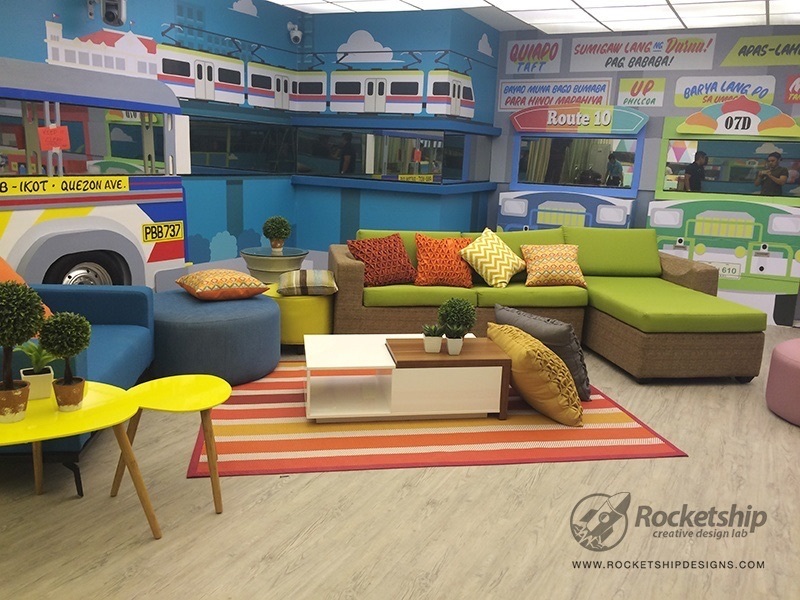 For the living room, it was illustrated in an eye-catchy colors having the most popular means of transportation in our country which is the Philippine jeepney and of course the illustration of commuter’s bestfriend which is the LRT (Light Rail Transit) in a pop out style so that the ambiance would be more realistic. Not only that, you will also see some jeepney signages and routes that hangs on the wall which seems very familiar to the teen housemates such as “Bayad muna bago bumaba para hindi mapahiya”, “Barya lang po sa umaga” and my favorite signage whenever I commute “God knows Hudas not pay”. More of street and Pinoy fiesta style at the dining room and kitchen area having fishball cart, burger stand and Pinoy’s favorite dessert-sorbetes plus the banderitas which really gives the vibe that you’re in a fiesta. 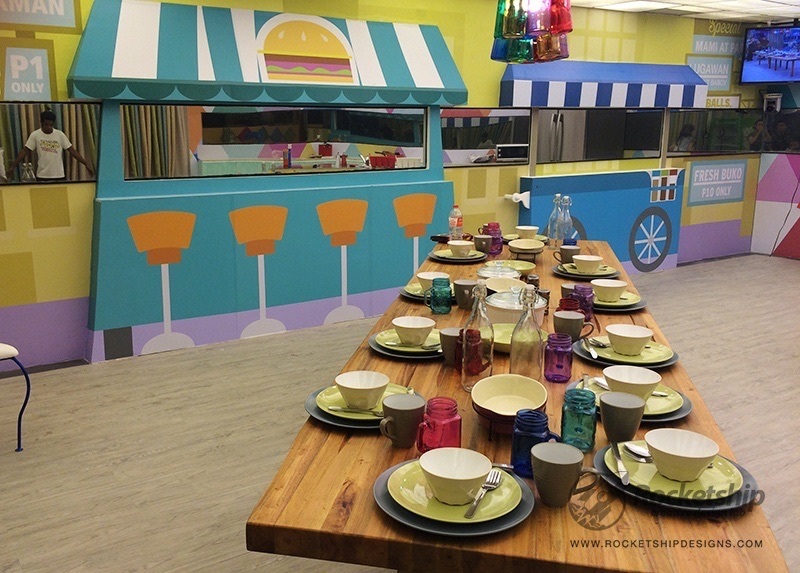 For the boys’ room, there is still the Pinoy pop theme which is the bottle caps at the top having different sayings which the teen housemates really need this to motivate them from any challenges inside and outside the house-tiwala,panalo,opo,etc. Abaniko fans on different prints for the girls’ room which I think this design was intentionally made to remind the attitude of being demure or the so called “dalagang Pilipina”. Pinoy Big Brother 737 airs on weekdays during the Kapamilya Gold afternoon time slot and weeknight after “Aquino & Abunda Tonight” on Primetime Bida and on Saturday nights after “MMK” and Sunday nights after “Rated K”. 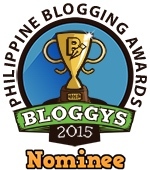 PBB 737 will also be available live and on-demand via livestreaming via the ABS-CBN website and also on iWanTV.